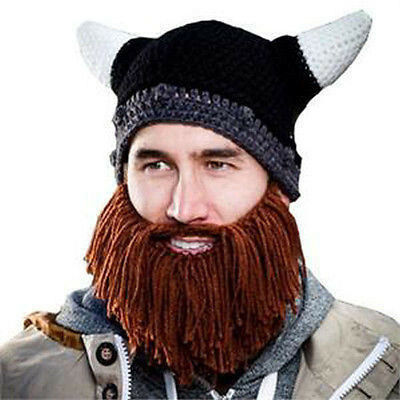 Extraordinary handmade hat with beard and horns made of warm wool. Cool hat for everyone. Draws attention and can be an amazing Halloween costume. Wash before first use. Hand wash only; wash in warm, not hot water; do not wring. Unisex. Size for an adult. Size: 24 x 20 x 4 cm.